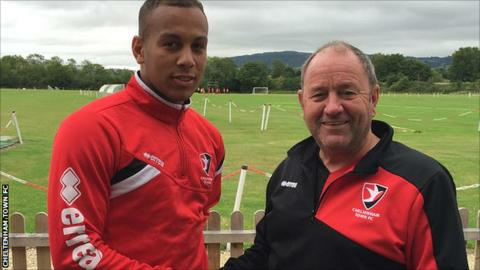 Cheltenham Town have signed forward Josh Cooke on loan from Swindon Town until January - their 16th arrival since the end of last season. Cooke began his career at Swindon and has made two senior appearances for the first-team with his debut coming last term. He also spent part of last season on loan at Staines Town. Cheltenham, who were relegated from League Two, began their National League campaign with a 1-1 draw on Saturday.